Whether you're looking for a particular piece of jewelry or would like to have a custom designed piece, skilled goldsmiths are always on the premises, with a workshop in view for all to see. We specialize in repairs and refurbishing your worn jewelry. Going to a wedding or special occasion? Come in and get your rings cleaned and polished, and make it look like the day you received them. 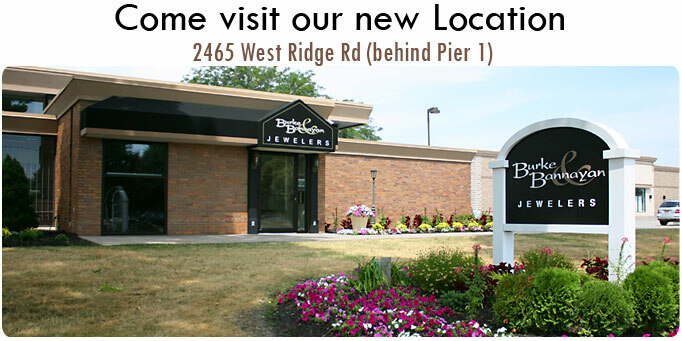 With our focus being service, stop in and experience a different kind of jewelry store!! Copyright © 2010 Burke and Bannayan Jewelers, Inc. All Rights Reserved.